The Floatation-Bath is an egg-shaped sensory isolation tank, which includes more than 2,000 cups of Epsom salt, an important source of magnesium sulphate known for its healing and soothing properties. The door to the floatation-bath is counter-weighed, thus permitting the customer to adjust the door to his or her personal preference. Due to the natural buoyancy created by the high salt concentration, you will float effortlessly in silky water that is maintained at natural skin temperature (35 °C), allowing both mind and body to let go entirely, and drift into a state of deep relaxation. The Floatation-Bath experience is a gateway to the benefits of meditation, and similarly leads to losing track of space and time. This unique treatment can also help individu­als access various levels of consciousness that are difficult to achieve on their own in everyday life. A Floatation-Bath session allows you to experience three phases of discovery. First, you will access a state of physical awareness, followed by a state of surrender that allows slowly coming to terms with the weightlessness; and lastly, you will reach a phase of very deep relaxation that only a Floatation- Bath can offer. Allows better control over emotions and dependencies. The Ovarium Spa Floating Baths contain 2,000 cups of Epsom salt per 2,000 cups of reverse osmosis purified water. We welcome a daily maximum of nine users for each of our six floating baths. Between each session, a water treatment is started offering the equivalent of three hours of filtration in a large pool. In addition to the performance of the filtering system and the pump, we proceed between each user to a spontaneous shock treatment, which instantly releases a chemical element named bromine. This intense dose eliminates all possible bacteria within the Float tank, to allow each user to float in an healthy environnement, clean and free of bacteria. Then, thanks to electronic laboratory instruments, a team evaluates the potential of oxidation-reduction every night, which allows to measure the ideal oxygen level so that no bacteria can develop. Finally, based on its expertise of more than 35 years in the field of wellness, the water treatment process established by the Spa Ovarium has been evaluated by two independent laboratories, certifying that the method used is efficient and optimal. The Ovarium Spa, a pioneer of the Bains-Flottants centers in Montreal, has more than 35 years of experience in maintaining the water quality of its Floating Baths. Our certification of excellence Spa Relais santé® As a guarantee of ultimate quality, the Relais santé® certification of excellence is granted only to establishments that meet the highest standards of professionalism, quality of care, water quality and hygiene. In addition to being regularly subjected to mystery inspections, each certified spa is governed by rigorous quality standards, defined according to the highest standards of the industry. Thus, all Spa Relais santé® members adhere to a strict code of ethics, in addition to offering a range of care provided by professionals with proven and recognized skills. Floating in Epsom salt is floating in a natural relaxant; a health therapy that provides Magnesium and Sulphate to your body. You will float in total freedom and with no effort in a solution saturated with Epsom salt (an important contributor of magnesium), maintained at the skin’s natural temperature. Throughout her pregnancy, a woman can take advantage of the many benefits that the Floatation Bath offers in total security. In fact, contrary to Thermal Spas, which are not recommended because of their wide temperature variations, the Floatation Baths have no contraindications for the future mom. Just the opposite in fact: it is highly recommended for its many adapted benefits for pregnant women. o Favours bringing pregnancies to term by reducing the risks of a premature birth. o Magnesium is one of the principle components of mother’s milk. o For the foetus, magnesium is essential to the formation of the skeleton and certain organs amongst which is the respiratory system. o Beneficial effects on weight, size and cranial circumference. o Weightlessness allowing one to feel free of their body’s weight. o A preparation to childbirth through visualization and autohypnosis. o Prevention of the effects of the “Baby Blues” (anxiety, light sleep, fatigue) and of post-partum depression. 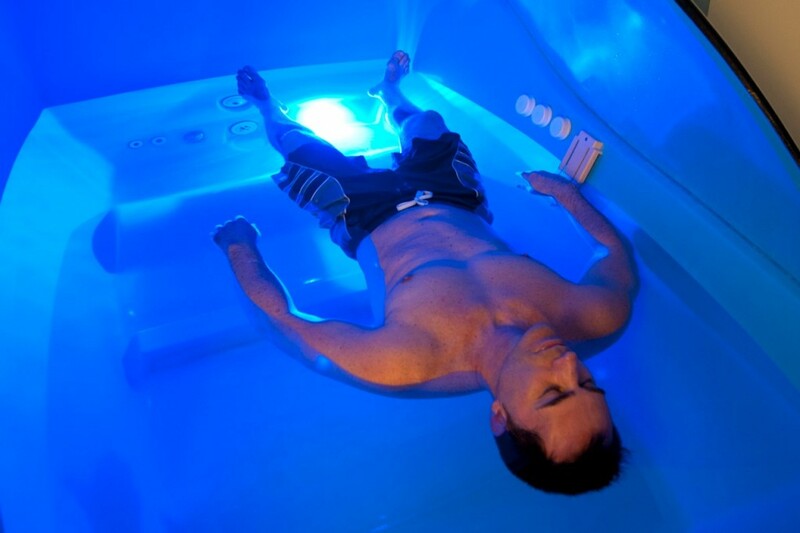 o A complete recovery: floating for 1 hour is equal to 3 hours of sleep! o Relief of muscular tension and stiffness caused by childbirth and breastfeeding. John C. Lilly, an American doctor, neuroscientist, neurosurgeon, psychotherapist and author, invented the Floatation Bath in the 1950’s. A pioneer in the study of consciousness, he develops his own tools during his long career amongst which is the sensory isolation tank. In Montreal, we owe the introduction of this unique treatment to Bernard Meloche, President and Founder of Spa Ovarium, who made the discovery of the Floatation Bath in 1982. His passion for it pushed him to help as many people as he could to discover its many benefits. That same year he opens the first Spa in Montreal and at the same time the first center for Floatation Baths. 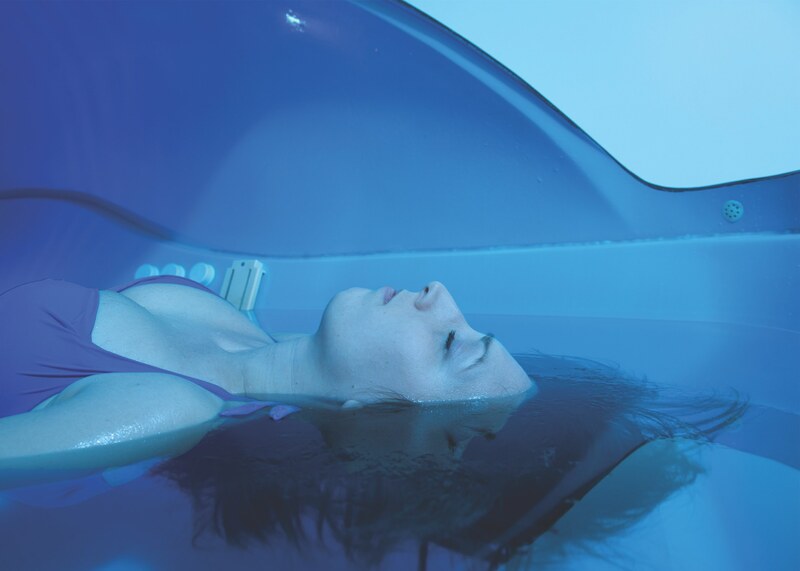 Today, Spa Ovarium is known as the largest center for Floatation Baths in America and on four of the five continents. Throughout the world, several relaxation centers offer the Floatation Bath treatment. In Sweden, an association is working towards getting it recognized by their health-care system. The Floatation Bath is a bath whose goal is to isolate the senses from external stimulation: total darkness, silence, neutral temperature and a feeling of weightlessness. Sensory Isolation brings a deep uncommon relaxation as well as several benefits for the mind and body. 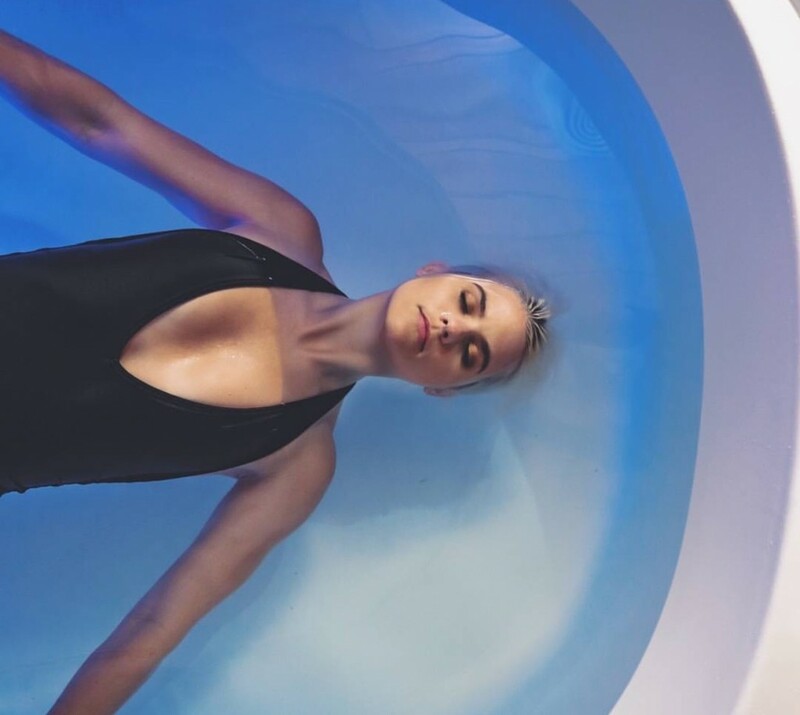 The specific environment of the Floatation Bath (a.k.a float tank) allows the freeing of 90% of the central nervous system, which instigates a rebalancing of the body also called homeostasis. In fact, on top of reinforcing the immune system and contributing in the reduction of negative stress, the Float Bath provokes the harmonisation of the two brain hemispheres, a balancing of the body and a deep muscular relaxation. Most float tanks are equipped with a door in order to experiment with sensory isolation and its benefits. However, and this is good news to the claustrophobes, those at Spa Ovarium are equipped with a door suspended by a counter weight allowing the door to be kept fully open or closed, or any degree in between. Also, to adapt to everyone’s needs, control is given to the user to freely control the lighting within the shell, and/or listen to relaxing music. We ask that you arrive at least 10 minutes before your appointment time to avoid feeling rushed. We suggest you avoid shaving or depilating for at least 12 hours before your Floatation Bath session. Avoid eating a heavy meal, drinking diuretic beverages or stimulants like coffee. Ovarium will provide everything you need: bath robes, towels, soap, shampoo, revitalizer, earplugs and hair dryers. Note that wearing a bathing suit is not required in the Floatation Bath. Wearing a bathing cap isn’t recommended because the saline solution will still permeate it regardless and washing your hair will be necessary with or without.